In the digital age, the tactile joy of flipping through a stack of CDs or records has been replaced with the thoroughly unsatisfying actions of scrolling through files on a screen. 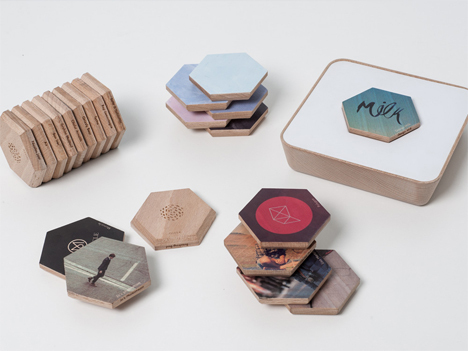 Paris-based designer Ismail Salhi missed that feeling of physically choosing a record and putting it on the record player, so he dreamed up a new type of interaction with music and other files. The system is called Qleek. 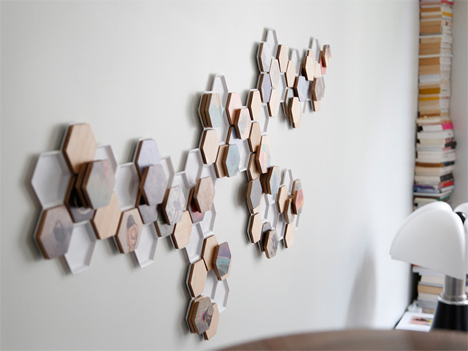 It consists of a small cradle and lots of hexagonal discs called Tapps. Each Tapp is associated with a media file: music, videos, photos or podcasts. The small objects don’t actually store the files. They are more like placeholders than actual media storage devices. 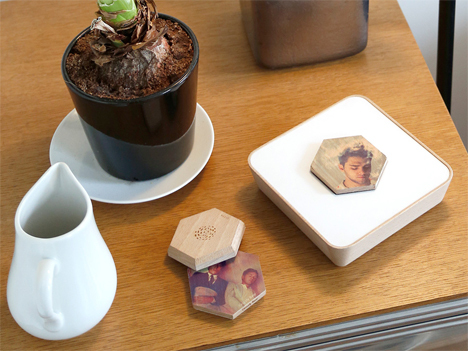 The cradle is connected to your TV or speakers, and the Tapps bookmark your media files. When you place a Tapp in the cradle, the NFC-enabled system brings up the files you want on the device you choose. 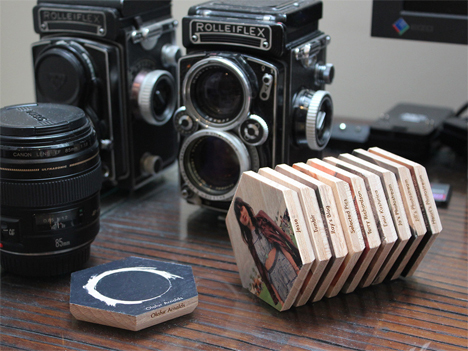 Because the Tapps are so much like CDs or records, Salhi envisions people displaying their little wooden discs like art. 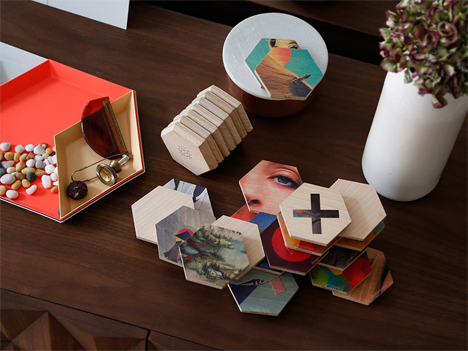 It’s almost like a physical bookcase that holds digital media. The Tapps each display cover art, making them seem even more like objets d’art that also happen to be functional. See more in Audio & TV or under Gadgets. May, 2014.